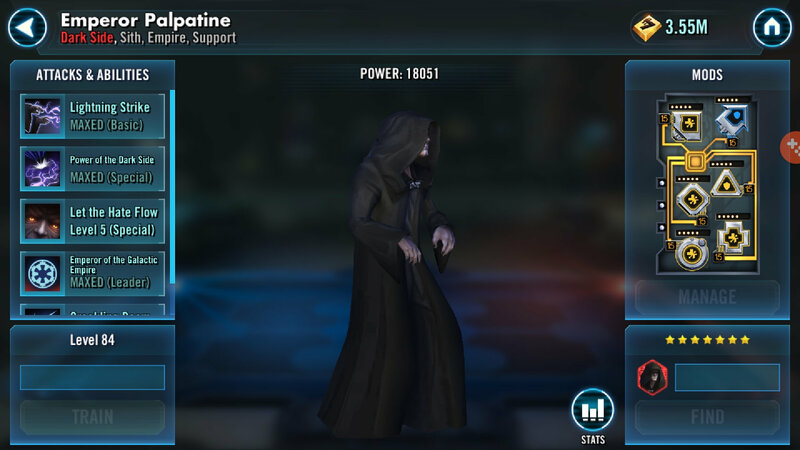 His power 68k to my 85k, 3 and 4 stars characters, 1 zeta no real gear against my 7* palp, vader,thrawn,nihilism and 6 * soon ( Bader and palp both gear 12, palp 2 seats, vader only 1....and I only got to attack 2 times?!?!?! Check the opponent’s mods. Sounds like he’s modded for speed. You should be too. He isn't, that is why I am so surprised, he way to week to even make it to the position he is, only level 84! @GreyAlex24 report possible cheaters to @CG_LucifersDaddy via private message on this forum. They will look into it privately without need of public posts. Saying you only got to attack two times sounds like you lost on offense? If so, there is no way for somebody to cheat on defense. you were attacking him, There is NO way he could cheat to beat you. just to add why would you even think of running vader lead over palps? I find it unbelievable that a player with 68k power and 3*&4* characters can beat my 7* team with 85k power. This is the correct action. Yes, I just did that! I do apologies for my post I did it without reading the guideline but I got helpful advice so thanks a lot. When the 3* and 4* characters are Badstila and Sion, you should believe it’s possible. I see people running G10 3* Badstila all the time in the top 100 of my shard (March 2017). 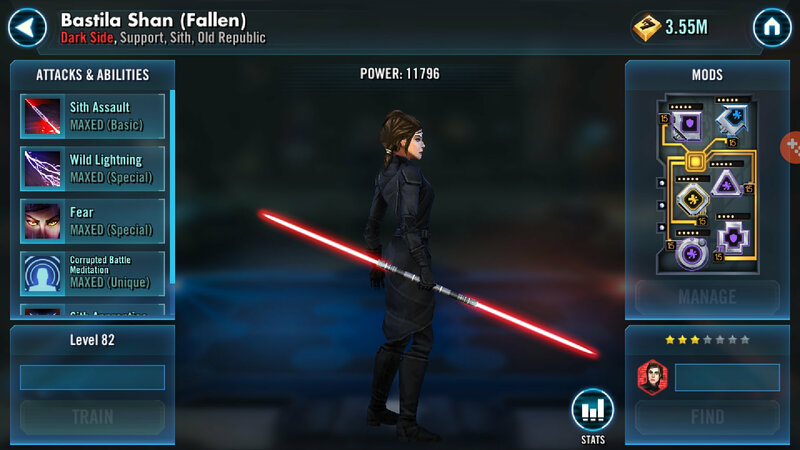 She was released with the intention of being viable in arena at low stars. That team is solid and will have a very low GP due to a 3* toon, but is capable of a fair match. Sort of. 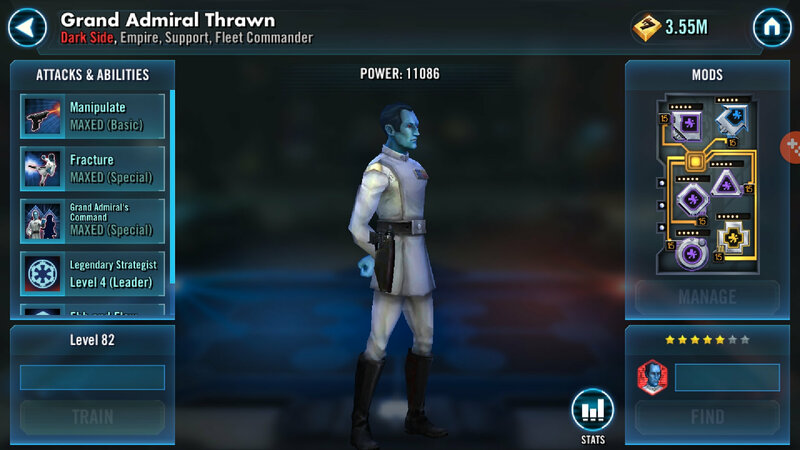 If you take a 40k Ewok team in TW against a 110k random toon assortment squad, I don't care what synergy and mods your Ewoks have, they're gonna get smoked. I'm not the helping kind, I'm the snarky nitpicky kind. The AI can't cheat. Only players - which means if YOU'RE attacking then you're the only person possible of cheating. The defense team CANNOT cheat. There's more than enough (too many) existing actual cheaters in the game. There's no need to add more clutter to the dev's inboxes with false reports. An understanding of synergies can go a long way towards victory versus defeat. 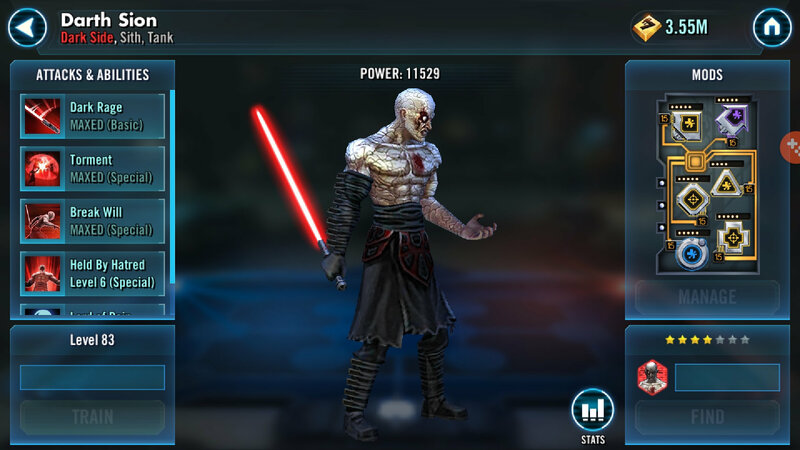 Vader gains no TM under his own lead, he can only remove it (50% chance of 20% TM at that). EP leads GAIN TM with debuffs on enemies and when they expire (if zetad). 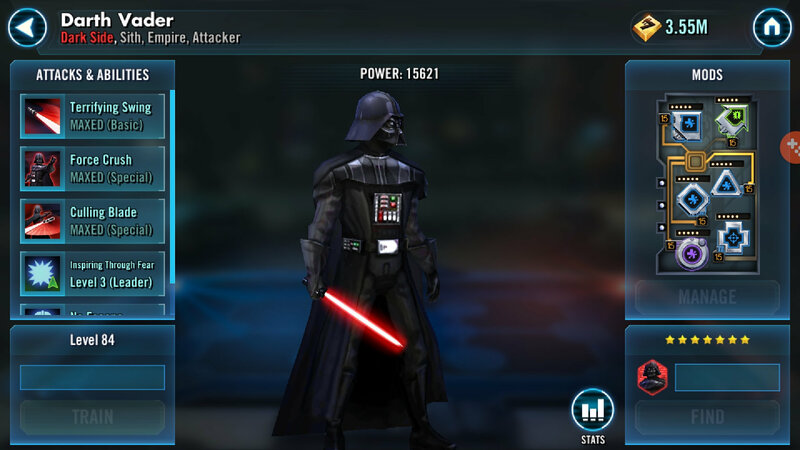 One enemy Vader AoE and the entire team has nearly maxed TM. Cheaters are tricky. Make sure that they are legit cheaters before reporting. What team was the opponent running? As others have already stated: if you attack, then there is no way for your opponent to cheat. The battle is running solely on your device. And I guess you were facing a zBastilla lead Jedi team. That team smokes Palp/Vader Sith teams, even at lower lvls. Was going to guess Bastie or NS. And his team was similar, with higher power, more gear, stars and zetas, and Nihilus instead of BSF. That's what the complaint was about. My bad, did not realize that the pics were actually from the opponent's team. Nevertheless if OP attacks and loses there is no way for cheating. TBF It doesn't say that it is. I was here before the thread was edited a bit so I was already aware it was the opponent's team, just had to add up the power to double check. Unless you mod vader for potency.